I was gonna wait and write this next week, but it's rainy today, and I can use some procrastination material. Yes, I will work on my own stuff today, I promise, but in a little while :P.
The first thing I want to say is that any time I read something by an author I "know" in any capacity, I worry that it makes me biased. On one hand, maybe my liking that person will make me like their writing more than I would had a stranger wrote the same thing. On the other hand, I can find myself being too critical of writers I know. But I feel absolutely certain that this book stood on its own in my mind. The Telling is the story of Zeph Walker, who was given the gift of prophecy from God as a child, but a tragedy turned his heart from it and he renounced both God and his gift and chose a life of solitude in the small town of Endurance, CA. Tamra and her grandmother, Annie, are brought into his life, though--or maybe it's that he's dragged into theirs--when strange things start happening at Annie's nursing home. People are changing, and it turns out there is a very sinister reason. Zeph, of course, is the key to stopping it all. 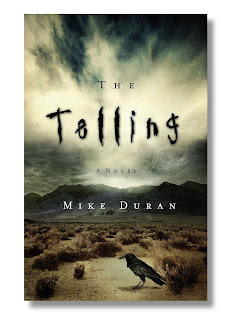 I was SO impressed by Mike Duran's characterization in this book. Quite the cast of characters, and all of them fully formed. I totally connected with them throughout the book, especially Zeph. And the side character of Little Weaver is just plain cool :). The setting was vivid, and the plot well-paced. There were a very few, nit-picky things I found, but nothing worth pointing out in a review because it is likely things others won't even notice, and they were very isolated. Not speed bumps in the reading--more like a handful of stray pebbles on the road. Also, unlike The Resurrection, which reminded me of Frank Peretti's work, The Telling didn't really remind me of any other author. It felt like Mike had come into his own voice more completely. Anyway, overall I have to say I'd be tempted to go back and knock The Resurrection down to a 3-star (from the 4-star I gave it) and Winterland down to a 4-star so I can clearly show how much better I liked The Telling by comparison. Great job. Loved it :). 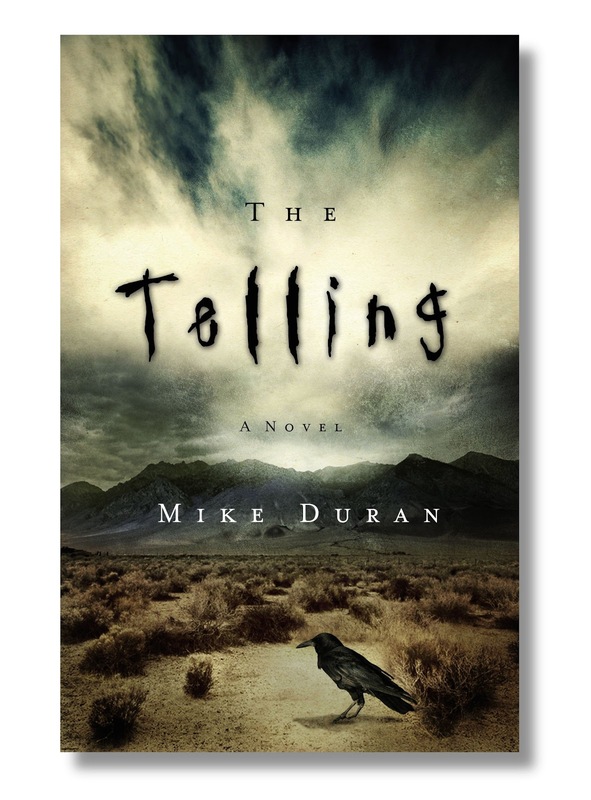 The Telling had a Stephen King or H.P. Lovecraft feel to it. I hope Duran writes a sequel at some point.